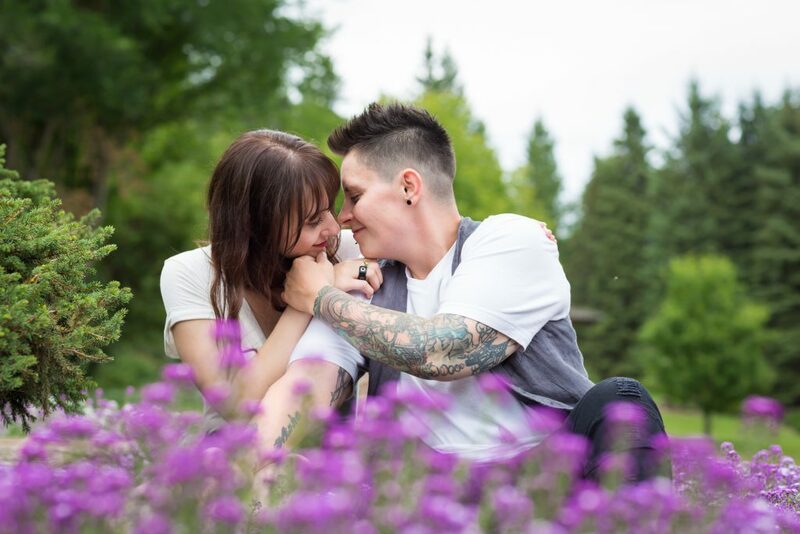 Mandy and Amanda’s Aga Khan Garden engagement session was a beautiful afternoon full of love, laughter and a surprise proposal. 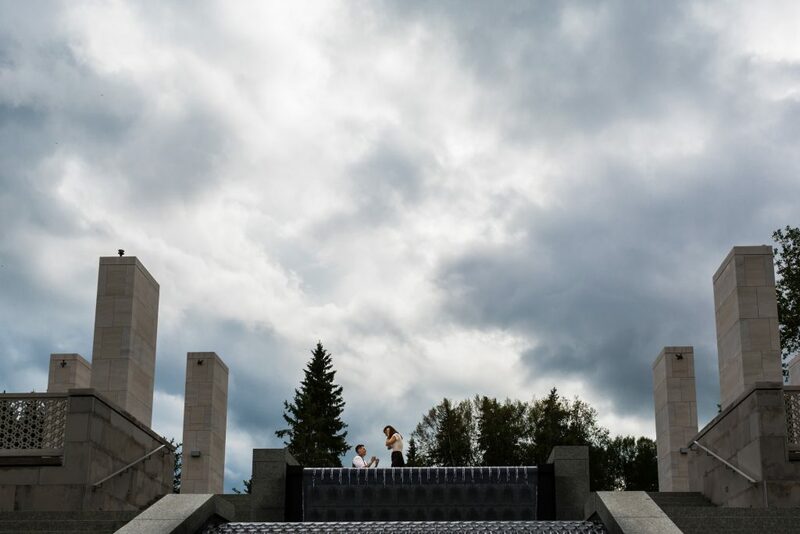 The newest garden feature at the University of Alberta Botanic Gardens is the Aga Khan Garden. 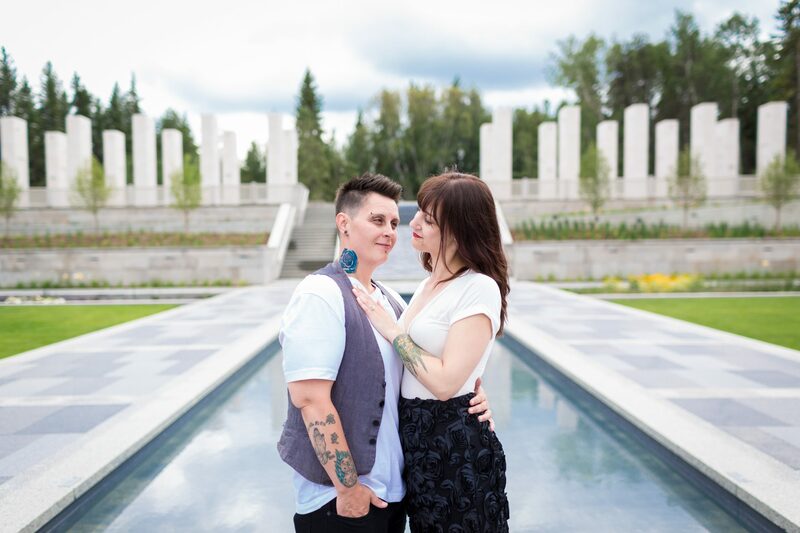 This gorgeous new garden opened just a few weeks ago and we were lucky enough to have an opportunity to photograph some beautiful engagement photos here. The massive 4.8 hectare garden features waterfalls, ponds, fountains and gardens. Absolutely everywhere you look the scenery is stunning. The Aga Khan Garden is only one area of the massive garden’s grounds. 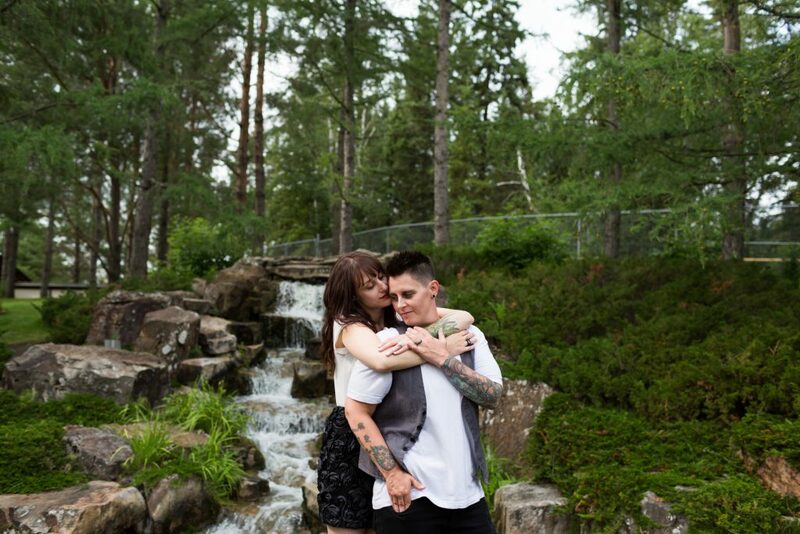 We have spent many beautiful summer afternoons wandering the gardens with happy couples in love. We are always delighted with the care that is put into maintaining the epic gardens through the harsh Alberta climate. The flowers are always blooming their brightest at the Botanic Gardens. 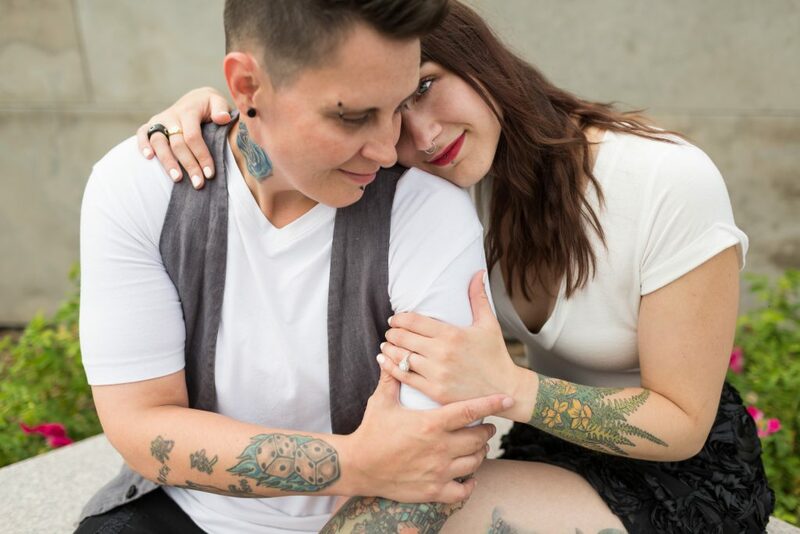 A few short months ago Amanda proposed to her long time girlfriend Mandy. 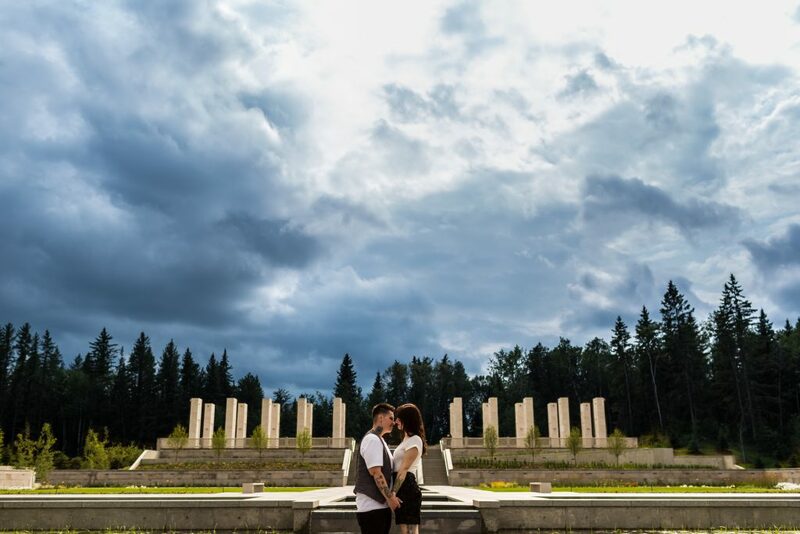 Amanda and Mandy wanted their engagement session to be something special, so they invited us out to the University of Alberta Botanic Gardens for a romantic afternoon stroll. Little did Amanda know that Mandy had a surprise up her sleeve. 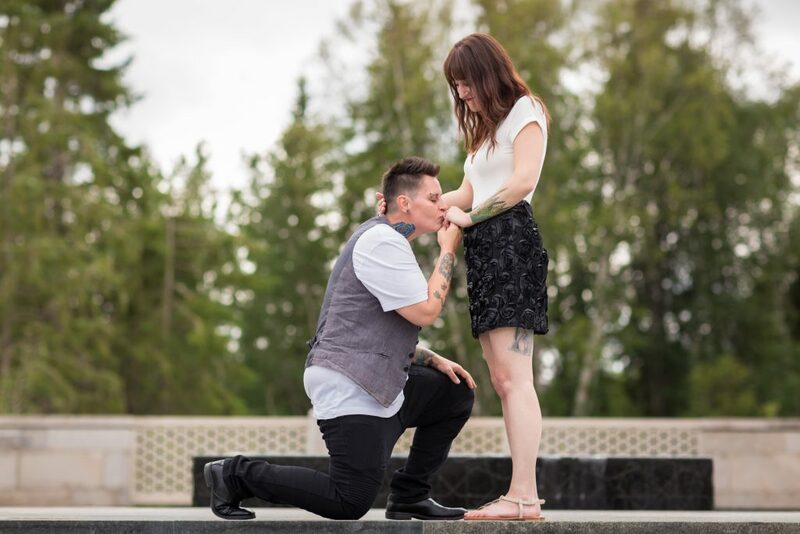 She had picked out the perfect engagement ring for her lady and had planned to make her own proposal during the engagement photos. 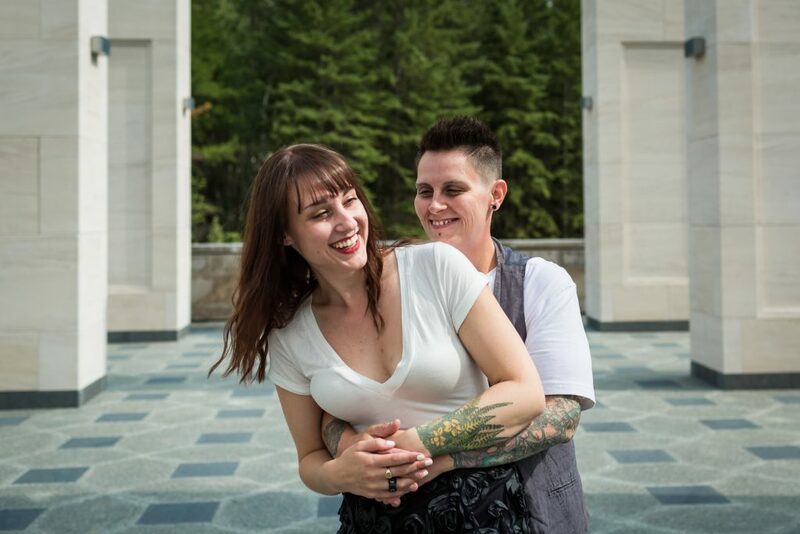 We were so excited to capture this moment for these two beautiful ladies in love. Following our stroll through the Aga Khan Garden, we went to explore the Japanese Garden. 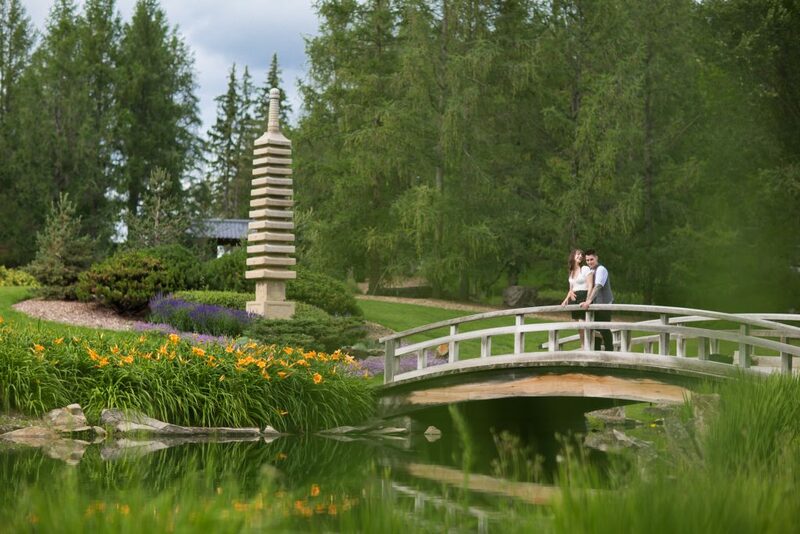 The bridge overlooking the koi pond is an intimate and romantic spot for sweet engagement photos. We were even lucky enough to find a freshly blooming field of lavender which was both delightful to photograph and to experience. The softly scented flowers only added to the sweet romance of this afternoon engagement session. 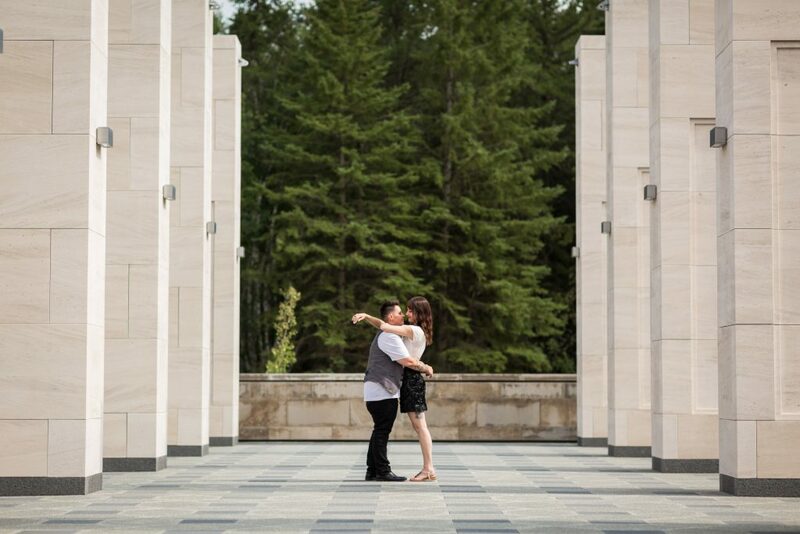 Thank you Mandy and Amanda for inviting Deep Blue Photography to capture your beautiful Aga Khan Garden engagement photos. We cannot wait for your wedding next spring!